I was so chuffed to see aa available list in a shopper’s fist. If I told you what I promised, I’d have to kill you! Re: the steel wool I reckon she realised she had some, way back o the shelf under the sink. Merry Christmas to all and sundry. All around the globe, people will be wishing Rosa a Happy Birthday. 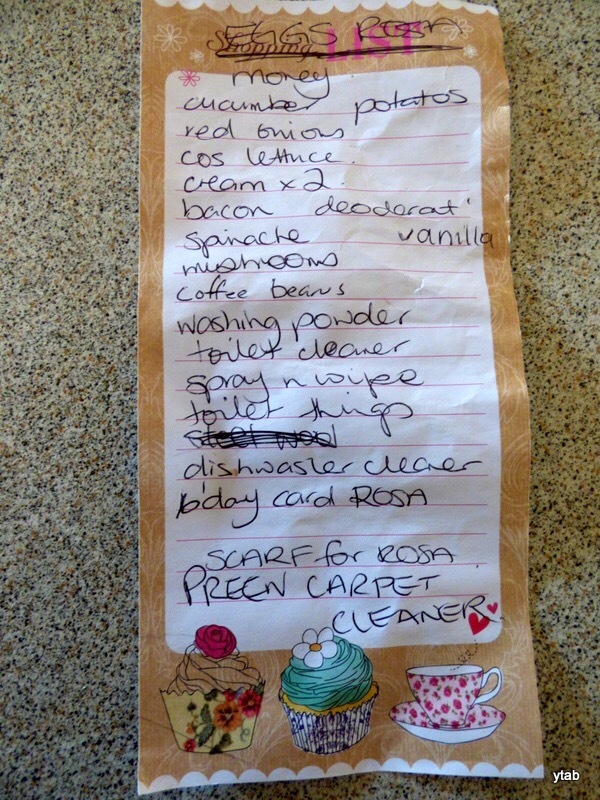 Thank you, Paul, for posting another Aussie shopping list. I hope Santa has you on his shopping list! The most important item is the first one: Money! and by the way – I have a few shopping lists to send your way Paul – I will get to it later this month…. in the mean time – looking forward to your posts and wishing you a good night. That would be great! Very much appreciated.